Today I’m super excited that I’m part of the Pootler’s Design Team for November, this month the stamp set that we have been given to work is The Little Things which is such a cute set for creating labels for all occasions. For this week’s project I have chosen to focus on the gorgeous “December Deliciousness” stamp, I have used it to create a set of notecards which would be suitable for my little girl to hand out to her classmates. For some reason this stamp reminds me of lasts years Candy Cane Lane DSP so used this to create a colour scheme of Crumb Cake, Early Expresso, Real Red and Very Vanilla. For these two cards I wanted to cover up the words so I took the stripe stamp and stamped in Real Red, I then cut this out using the Bunch of Banners. For the greeting I took the Made Extra Special stamp and just inked up the “Just For You” you with the Early Expresso marker and then punched this out with the Classic Label Punch. For this second set of notecards I wanted to use the same set but use a more Christmassy greeting. To make a space for a greeting I covered the December Deliciousness up with washi tape and inked up the stamp. Remember to remove the washi tape before stamping or you will have a big brown splodge….like I did the first time I did these cards. For this last set I still wanted them to match but didn’t want to use the big stamp. I used the same greeting as the previous two notecards with the stamps from Merry Café in the middle. I then stamped the gingerbread man and the star in Early Expresso and Crumb Cake. I love these little stamps, I mean is there anything cuter than a mini gingerbread man? 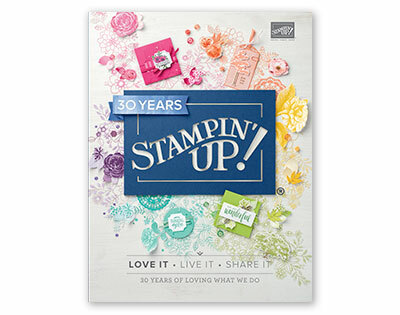 Join me next week and see what else I create with this stamp set. Today I’ve made a set of six 3″ x 3″ notecards featuring the Daisy Delight set and the Wood Words set, both of these sets are currently 15% off in the World Card Making Day Sale. The notecards are perfectly sized to coordinate with the mini envelopes and mini pizza boxes in the Autumn/Winter catalogue. Following on from yesterday’s post I decided to make a set of notecards to fit in my cute little bag. I love how easy these were to create, just a few quick layers and a touch of stamping and you have a lovely set of notecards which would make a lovely gift. I chose to use the same die combination as yesterday to help tie the two projects together (the largest stitched shape square and second largest scalloped square) but decided to use the smaller daisy stamps as the large stamp felt too big against this gorgeous paper. I stamped the daisy outlines first in Calypso Coral and Night of Navy and then to fill in I stamped off the colour once on scrap paper. I love how the inside part of the daisy is slightly bigger which means when you cut them out they still look great. 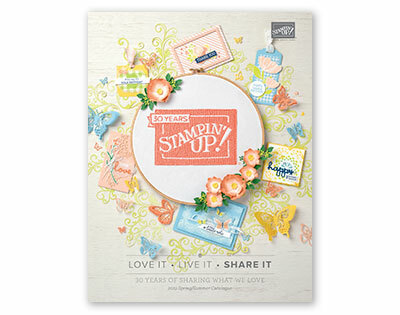 The Daisy Delight stamp set and everything from the new catalogue will be available to purchase tomorrow…yay!